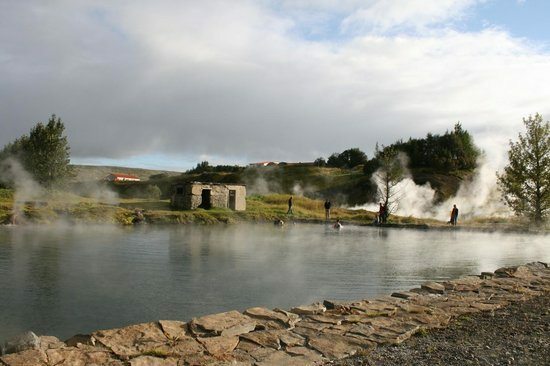 This tour is a perfect combo of Golden Circle sightseeing and relaxation at the hot spring natural bath. After we visit the sites of the classic Golden circle route, Þingvellir, Gullfoss and Geysir, we stop at the Secret Lagoon. The lagoon is one of the oldest natural geothermal swimming pools in Iceland and surrounded by several hot springs. One of them is called little Geysir and it erupts every few minutes. Another one is called Vaðmálshver where the locals used to wash their laundry. The temperature of the lagoon is between 36-40°C/97-104°F. Admission fee to the lagoon and a towel is included in the price, but remember to bring a bathing suit. Lunch stop on the way (lunch not included in the price). We either start or finish at the Secret Lagoon.